Are you thinking about integrating with Doubleclick? You may want to check out our new integration that supports DFP ad delivery, as well as VAST and Dynamic Allocation. The new Brightcove integration to DFP supports video ads (In-Stream, Google video, or VAST video), Google text/overlay/graphic/InVideo ads, HTML companions, custom ad formats (via Brightcove's external ad API) and Brightcove ad format XML. The Dynamic Allocation capabilities from Google ensure that ads will always be available for monetization, multiple HTML companions are easily and fully supported and, since the product is written in the latest Flash technology (ActionScript 3.0), it is faster and more reliable than ever. Brightcove has also made several enhancements with this new integration, including support for availability forecasting. As in previous integration versions, both Brightcove ad formats (trafficked through DoubleClick) and Brightcove's external ad APIs are fully supported. 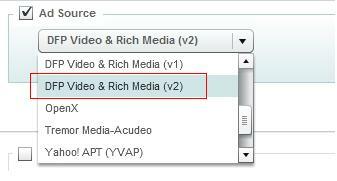 Here is an example player that uses the DFP Video & Rich Media (v2) ad translator to deliver In-Stream video ads. Here is an example player whose ad campaign is set up to use Google's dynamic allocation and which in this case delivers an overlay ad from Google AdSense for video. Learn more about our newest integration. If you would like to learn more about Brightcove's advertising capabilities, please contact sales at +1 888 882 1880.